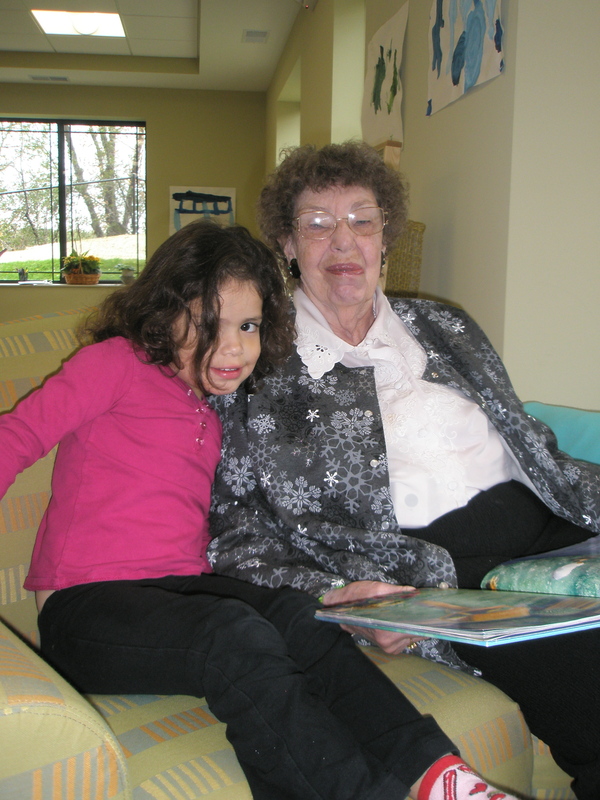 On day one at All Seasons Preschool, Grandma Harriet’s smile was one of the first we saw when entering Willow Cove (the memory care living area). “Hi, honey,” was her standard greeting, along with a big grandma hug. She was everything “grandma,” loving, warm, welcoming and totally present. She was a favorite due to her joy for all things children love, relishing the pleasures as simple as the warm touch of a child’s hand or the enthusiasm of little singers who don’t know the words yet. 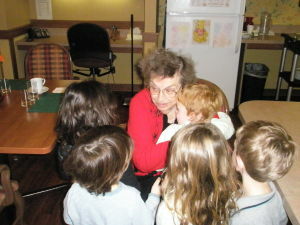 This morning our preschoolers headed to the community room to sing at a remembrance service for Harriet. She was a beloved grandma to our alumni students, one of our original grandmas. “The Ants Go Marching” was Harriet’s favorite song and one we chose to sing for her family at the remembrance service today. We told her children how she led the preschoolers up and down the hall, marching to the beat. Like the children, Harriet had many favorite songs. Whatever we were singing at that moment was Harriet’s favorite. 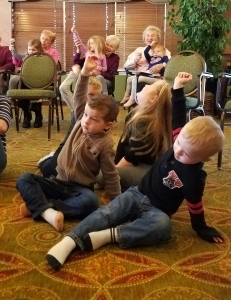 She would tear up during “Edelweiss” and move along with the kids to “The Hokey Pokey”. She also shared her love for sports with the children. Whatever “sport” we played, Harriet was on board. A natural question prospective parents ask when they visit our school is, “What happens when a grandma or grandpa dies?” We remember them. 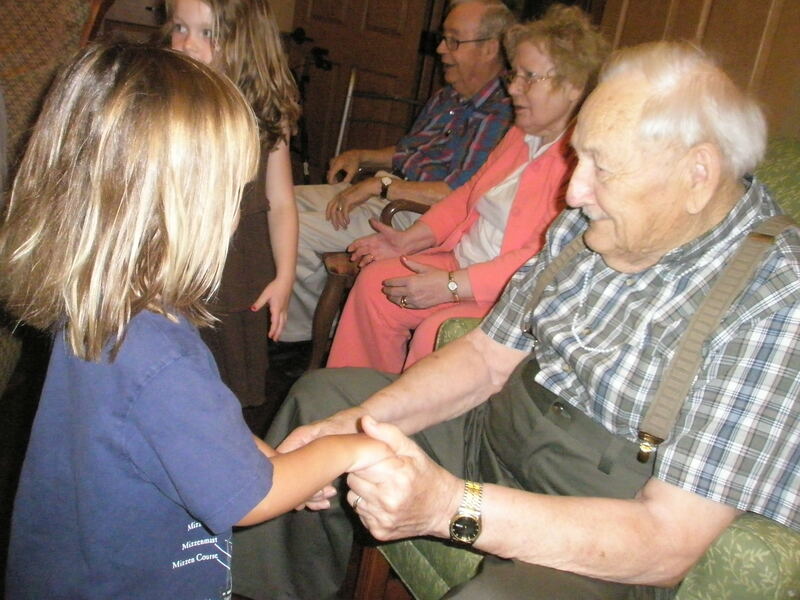 We remember how we spent our time with them, what they said, what they did, games we played, their favorite songs. We remember all of them. Ending the week with big bowls of popcorn, a bit of a movie, and plenty of togetherness is a much-loved shared activity between All Seasons preschoolers and the Willow Cove residents of Inver Glen. The enticing smell of popcorn being made on Friday mornings cues the children for what is to come. To end the morning, preschoolers go to either East or West (the two sides of Willow Cove) and arrive with smiles, handshakes and hugs. While it is a relaxed atmosphere, respect is ever present. 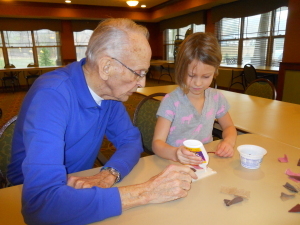 Cups of popcorn are hand delivered to the Grandmas and Grandpas by the children before they receive their own. Patience and courtesy are strengthened. After all are ready, some snuggled up with seniors, the movie is started. For 15 to 20 minutes we are all on the same page, connecting through shows chosen to appeal to both generations. The first to be shown years ago were old cartoons, but there were varied opinions about which ones were good. Some weren’t old enough for the seniors to remember, some were clearly sexist and racist, and some were plain annoying. Mighty Mouse was a favorite, but it was hard to find enough episodes. There was a progression to full-length movies that were shown over months, with musicals clearly favored. In recent years, we have seen Lassie, Chitty Chitty Bang Bang, and Swiss Family Robinson. We are currently watching Mary Poppins, for the third year in a row! It is undoubtedly a hit for all involved. There is singing, dancing, imagination, humor, and even a few “good tears” from the adults when Jane and Michael Banks choose to use their tuppence to feed the birds. Watching the relationships grow, both on and off the screen, is Academy Award worthy. 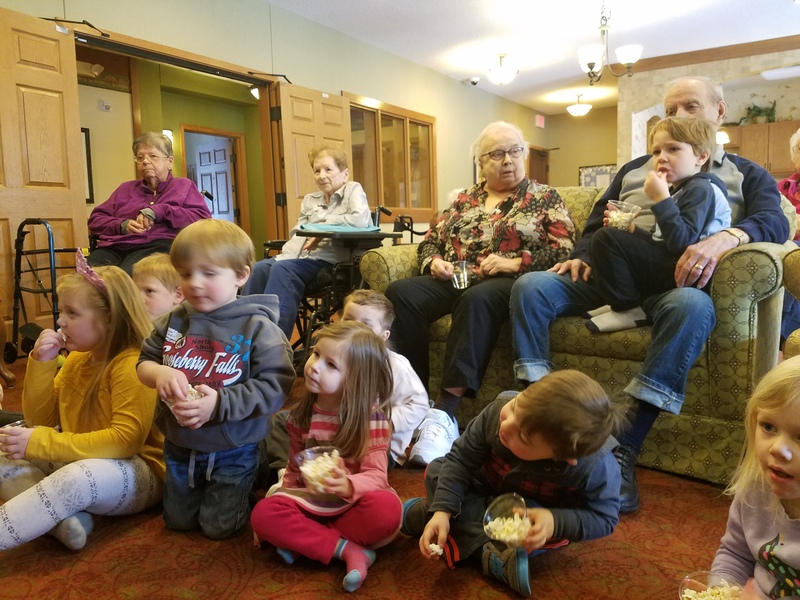 Families were asked to weigh in on how our movie time with the Grandmas and Grandpas shows up outside of the school experience. The responses were reminders that what we do can have lovely and lasting repercussions. 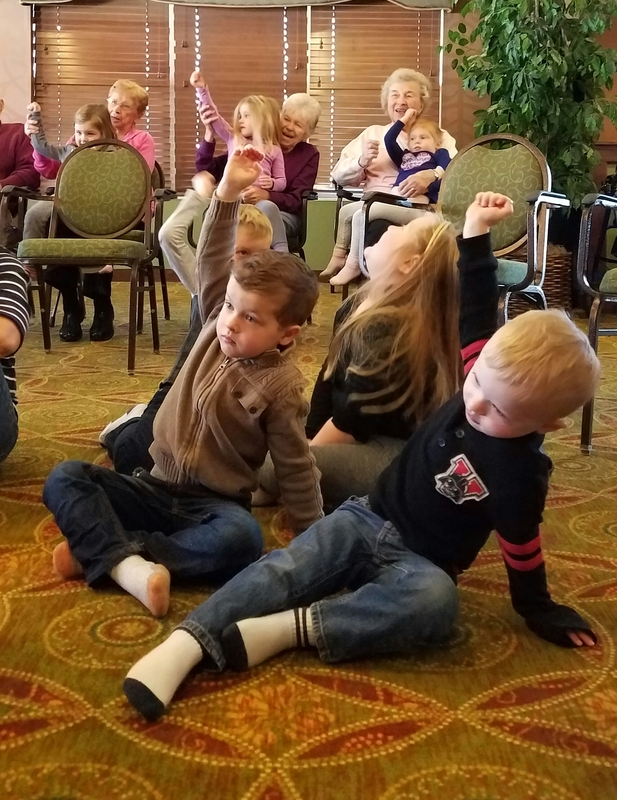 Singing songs from Mary Poppins spills over into our community sing-alongs.